If you’re tired of having to deal with overcrowding on bus rides in Greater Vancouver, double-decker buses are going to be your best friend. TransLink has added to its fleet of vehicles a set of new double-decker buses that will be travelling on overcrowded routes from Vancouver to Langley, Surrey, White Rock, and Delta. The buses have 83 per cent more seating and double the capacity of older highway coaches. The double-decker bus routes will include the 351 between Crescent Beach and Richmond, the 354 between White Rock and Richmond, and the 555 between Langley and Coquitlam, according to TransLink. These three routes are often overcrowded during peak times, but putting more double-deckers on the road will likely help people in those areas get to where they need to go while providing a panoramic view from the top deck. Personally, I have travelled on the 351 during the work rush hour and it is not fun. I had to stand on the bus for the full 45-minute bus ride, which wouldn’t have been so uncomfortable if I wasn’t squished inside a horde of other people. The new buses should help make that commute more pleasant. Taking transit is the most common way to get to work for anyone without a car, and TransLink’s ridership is steadily growing. Kevin Desmond, CEO of TransLink, told CTV Vancouver that the company’s ridership increased by more than four per cent in 2016 and more than six per cent by the end of October this year. To make matters worse, TransLink’s highway coach fleet is aging. It’s time to replace it with newer buses like the double-deckers, which produce less emissions per passenger than traditional buses. Regular transit users should take advantage of this upgrade because, after dealing with the stuffiness of local buses for years, they deserve to be able to rely on efficient buses. 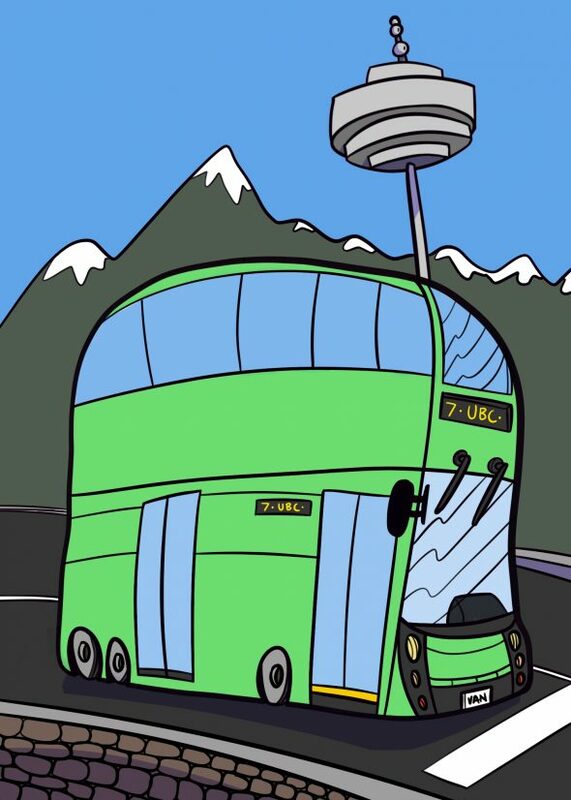 Double-decker buses have been received well in other cities such as Ottawa, Toronto, Seattle, and even Victoria, so there’s no reason why Vancouver wouldn’t benefit from testing them out. Our city is beautiful and people should be able to get a new perspective of it on the bus, especially on long rides. And as tourism continues to boom, more visitors will be able to ride on the double-deckers to get a better view of the area. Some riders might see the double-decker buses as a waste of money because TransLink has historically been heavy-handed with how it spends its funds. In 2013, TransLink’s independent regulator found that the transportation authority spent more on providing its services than organizations in most other Canadian cities, but failed to focus enough on its quality of service. Some have argued that the money should be spent on expanding the normal fleet of buses instead, and 12.9 per cent of participants in a Vancouver Sun poll think that there are better options for improving TransLink than using higher buses on busy routes. TransLink plans to have 32 double-decker buses transporting passengers by 2019 as part of its 10-year plan. Government money should be spent on benefiting transit riders, and TransLink is trying to improve the quality and comfort on buses by testing out double-deckers in Metro Vancouver.